Top Ten Tuesday hosted over at The Broke and the Bookish is taking a well deserved break this week leaving us all to our own devices. Since I talk about the books I like and am reading quite a bit I thought I'd use this free spot to talk about what the Tornado is reading. For those that don't know he's 7 years old and in 1st grade. He's not struggling with reading but it isn't coming as easy to him as math so his frustration fuse has been pretty short. Lately though it's really felt like things are starting to click and he's been enjoying reading much more lately. I'm hoping it's the start of a new trend! 1. 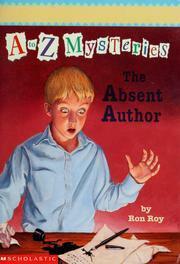 A to Z Mysteries: The Absent Author by Ron Roy - This is our most recent read and we both really enjoyed it. 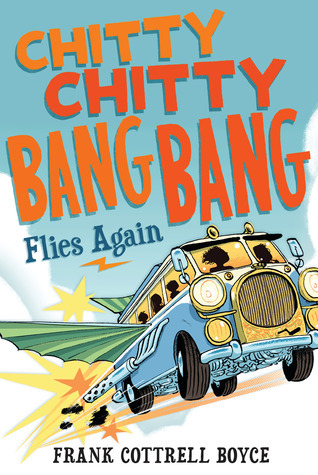 The mystery was really cute and it really invited the reader to guess what's going to happen next and put the clues together themselves which gave us an extra level of an enjoyment. 2. Micekings: Pull the Dragon's Tooth by Geronimo Stilton - Geronimo Stilton is the main character who also happens to be a mouse in a world full of cheese related puns. In this one Micekings = Vikings (took me way to long to put that together) and they're off to catch a dragon which was really fun! 3. Encyclopedia Brown, Boy Detective by Donald J. Sobel - I loved Encyclopedia Brown when I was a kid so I was thrilled when I found this at the bookstore. The fact that they're really a collection of short stories makes it for great bedtime reading and they're really fun to figure out on your own. These are books he's reading to himself either for school or just for fun. I'm thrilled that he's rediscovered Mo Willems who was always one of my favorites to read aloud! 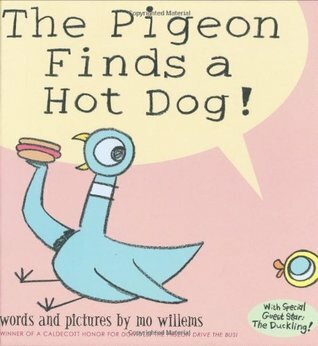 The Pigeon Finds a Hot Dog by Mo Willems - I love the Pigeon books and this one that features hot dogs AND a duckling is just hilarious. He's really been enjoying them too. My Friend is Sad by Mo Willems - I'm not as fond of Gerald and Piggie as I am of the Pigeon but Willems can do no wrong when it comes to kids' books. 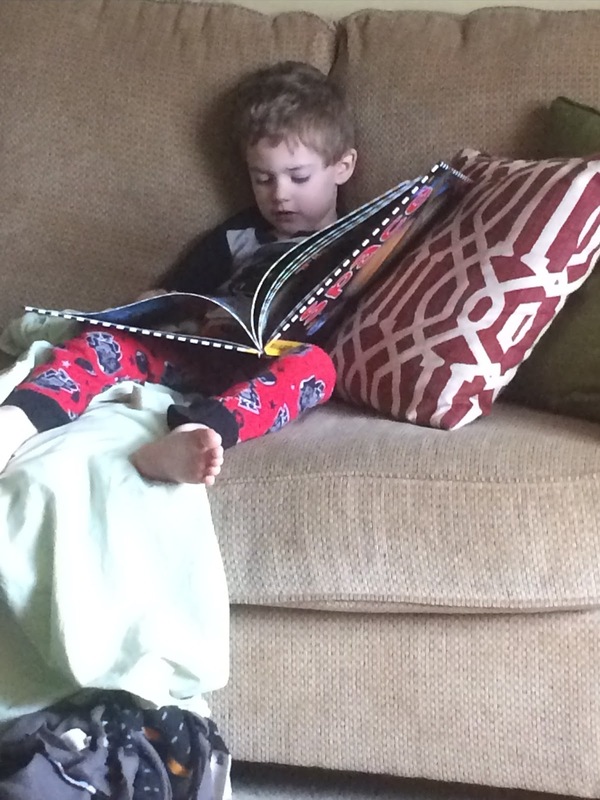 Lego Star Wars Character Encyclopedia - He has a few of these and one for Lego Ninjago and sometihng else I can't remember and now that he's able to read he can sit for hours pouring over all the details of these books. I'm always on the lookout for ones he doesn't have as they make great books for car rides! 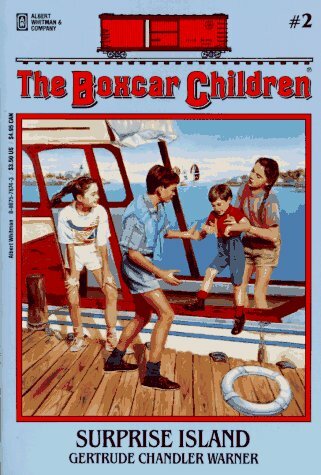 The Boxcar Children series by Gertrude Chandler Warner - We'd been getting the audio books from my library's digital site and then listening to them on my phone anytime we traveled but there were only a few and we'd listened to them so many times we basically had them memorized. Right before his birthday I found some on Amazon that were three books in a set and we've been steadily buying them set by set ever since. He loves them and listens to them constantly! I think they've really helped perk up his interest in reading and have helped him follow a chapter length book. 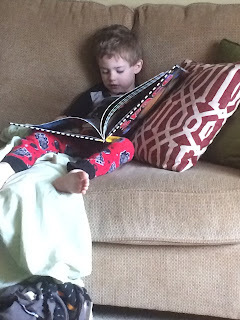 Bunnicula by James and Deborah Howe - I won this book from Stormi over at Books, Movies, Reviews, Oh My and really wanted to read it to him but he was having none of it because he was convinced it would be scary. Finally I talked him into listening to 1 chapter and he was instantly hooked. We finished the whole book on a road trip and he wanted to immediately start over again! Luckily there's a few more in the series! So that's what we're reading and listening to around here? What are you reading and listening too? Are there any books that I must pick up for him? I'm always looking for recommendations! Sometimes after I read a book I just don't have enough to say to constitute a full review. When this happens I like to combine a few of those for short reviews. Today is one of those posts! Description: An old isolated family home and a family where all the girls are known for being beautiful and meeting untimely ends. Lane and run away from her grandparents' home vowing never to return when she was just a teenager but a desperate middle of the night call from her grandfather with the news that her cousin Allegra is missing brings her back and all the old demons are swirled up again. Description: Poor little rich girl, Sydney Wellesley, has lost her fiance, her dream of making the US equestrian team, and finally the support of her cold, unforgiving family. When her financial support dries up right after she buys a dilapidated ranch she's alone and almost defeated. With the help of a wounded wild horse and assortment of local characters is it possible that she can find her way on her own? Listening: Serafina and the Black Cloak by Robert Beatty. I'm on the fence about this one. There's a lot I like but there's a few things that just aren't quite working for me. Watching: I kind of fell into a true crime rabbit hole this week and have been watching mostly Investigation Discovery shows. My favorite is Web of Lies about internet related crimes of A Crime to Remember which is about historic-ish crimes. We had a busy weekend and then the Tornado was out of school Monday and Tuesday. I was really hoping for a catch up week and then a relaxing weekend. All was going as planned until the school nurse called me Thursday afternoon to say he had a fever of 102! Well I flew up to school excepting him to be sad and droopy and miserable and while he definitely wasn't feeling well he was also seriously annoyed because he had to leave school and couldn't go back on Friday! I did finally get him settled and past the fact that he wasn't going to school Friday but he's still not fully on board with the resting concept. I'm hoping that by Sunday night he's back to his regular self or we'll be heading to the doctor which will mess up his no sick visit ever streak! Next weekend the local theater here is doing Miss Nelson is Missing and I'm so excited I can barely stand it! This was one of my absolute favorite books as a child. I'm torn between reading it to the Tornado before we go so he knows the story or waiting so the story will be a surprise. I'm so thrilled with the new re-read feature on Goodreads! I have been wanting one for ages and just finally used it and it worked! It was so exciting! As well I'm mixing it up some next week genre-wise. I've been super cozy mystery heavy lately and I'm glad to have some fiction and romance reviews in with the cozies! It's been nice mixing up the genres because I've been feeling myself start to slide into a slump and different genres seems to have put the brakes on. Huge relief! Monday: Ramblings from the Stacks: They'll all get read right? Not quite as decorative as I would have liked! My Results: This was fun and pretty tasty. My only problem is that it was a little harder to make them shaped unless I had a really big cookie cutter. All of my regular cutters were to small to put filling in the dough and then crimp the edges Next time I'd roll out the dough a little more carefully and then maybe cut a design into the top of the dough. Other than that it was tasty and super easy to customize for picky eaters. My Results: I cheated and used a purchased pie crust but other than that and using Special Dark cocoa powder I followed the recipe exactly. Other than some stirring it was super easy and the results were amazing. I'm thinking about making another one this weekend because it was so good! The Basic Idea: Drop a denture cleaning table into the sink to clean the drain. My Results: This was simple and the supplies were cheap. I have a marble countertop/sink and there are tiny cracks right around the drain that get a little bit of grunge in them. I thought this might be an easy way to fix it. I think this might work great for soap scum for for cracks or small dents I didn't notice any difference. Not photogenic but it sure was tasty! My Results: These were unexpectedly good. I've never really eaten Ramen noodles before so I don't know how they taste normally (I lived off Snickers bars in college) so I was very suspicious of these but I was pretty pleased with the results. This definitely isn't a serve to company dish but it's a pretty good late night snack or guilty pleasure meal! It depends on how it's done. Some of my favorite books have involved multiple narrators but if the different voices aren't clear and easy to keep track of I'll most likely DNF it. This week's book is a spur of the moment library pickup as I'm trying to keep myself from sliding into a reading slump. 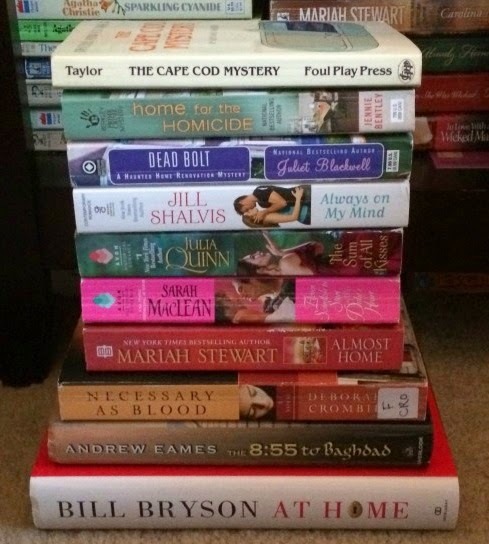 I've been reading a lot of cozy mysteries lately and while they've all been good books there's a certain repetitiveness that happens when I read too many of one genre. 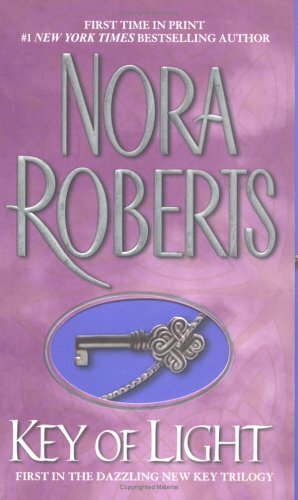 I thought I'd mix it up a little and grab an old favorite from a trilogy I've been thinking about rereading - Key of Light by Nora Roberts. The storm ripped over the mountains, gushing torrents of rain that struck the ground with the sharp ring of metal on stone. Lightning strikes spat down, angry artillery fire that slammed against the cannon roar of thunder. I love a good thunderstorm as long as I don't have to be out in it but this one sounds a little to strong even for me! Moe immediately dropped his heavy head on her knee. "Could you call off your dog?" "Not as long as you've got cookies." I had forgotten about Moe and I just about squealed with delight when he showed up on the page. He's such a great dog who regularly forgets how big he is. So what do you think? Keep reading? What books do you reach for when you feel yourself sliding into a slump? 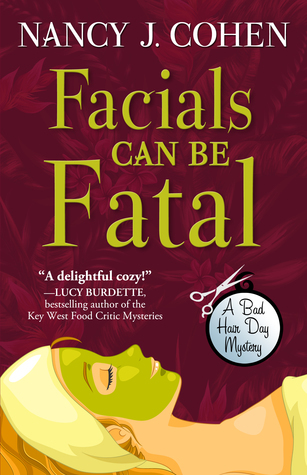 Description: During the frenzy of the December holidays, the last thing salon owner Marla Vail needs is a dead body slathered in a green facial mask at her new day spa. The victim, Valerie Weston, was a major donor for Friends of Old Florida, a historic building preservation society. Marla’s stylists are scheduled to work backstage at their upcoming gala fashion show, but Val’s demise might put a crimp in their plans. Hoping to salvage her reputation, Marla determines to track down the suspects. 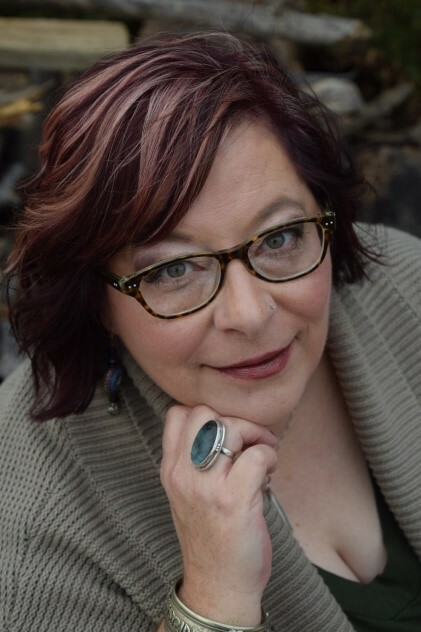 As she learns more about Val, she realizes the benefactress might have stumbled onto secrets others would kill to keep. She’d better prepare for a body count that has nothing to do with hot stone massages and everything to do with murder. Why I Picked This Book: I really enjoyed the previous book in the series and really wanted to see Marla on her home turf. My Impression: I read Cohen's previous book in this series (Peril by Ponytail) around hair stylist and salon owner, Marla Vail, last year and while I really enjoyed reading about Marla and her new husband having adventures on their honeymoon I was really looking forward to getting a peek into their daily lives. I loved seeing Marla at her salon dealing with clients, her stylists and the regular daily emergencies. As well, I really enjoyed seeing Marla and Dalton settle in together and their interactions with and about Dalton's daughter Brianna were lots of fun. I thought it was funny how resistant Dalton was to letting her drive with her newly acquired learner's permit. We don't have to wait long for the first body to fall and the story really got rolling then. Just who would have disliked Val enough to kill her and was it really murder in the first place? When a question was answered it seemed to bring up more questions and it was lots of fun navigating the clues and the giant pool of suspects. I also really enjoyed the look into the political and not always nice world of historical preservation. This one kept me guessing and my inner history nerd was made even happier with the talks of diaries, shipwrecks and preserving old architecture. The setting for the final showdown alone is worth giving this book a read! 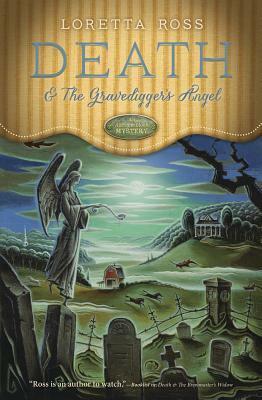 If you enjoy cozy mysteries this is a fun, light series, with a likable main characters and enjoyable side characters. This is my 2nd book though is I think #13 in the series and while previous mysteries are mentioned not having read them didn't impact my enjoyment or comprehension of the book. Would I Read More of this Series/Author? : Absolutely! I'm really looking forward to going back and reading earlier books in the series! Would I Recommend this Book? 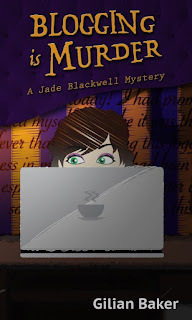 : If you enjoy cozy mysteries this is a great pick! Description: Usually sharp-witted editor Sam Clair stumbles through her post-launch-party morning with the hangover to end all hangovers. Before the Nurofen has even kicked in, she finds herself entangled in an elaborate saga of missing neighbours, suspected arson and the odd unidentified body. When the grisly news breaks that the fire has claimed a victim, Sam is already in pursuit. Never has comedy been so deadly as Sam faces down a pair from Thugs ‘R’ Us, aided by nothing more than a CID boyfriend, a stalwart Goth assistant and a seemingly endless supply of purple-sprouting broccoli. Why I Picked This Book: This was described as Bridget Jones meets Agatha Christie. How could I pass it up? 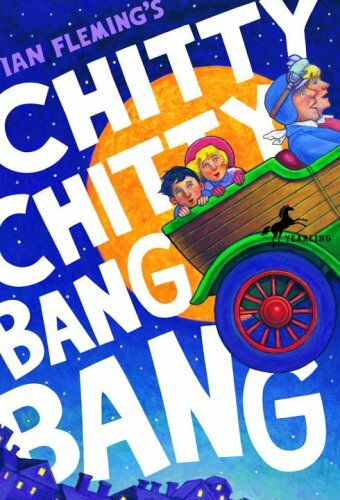 My Impression: While I couldn't resist an Agatha Christie/Bridget Jones mashup going in I was a little hesitant. I mean how would this actually work? Agatha Christie is known for her clearly plotted precisely done mysteries and Bridget Jones is known for kind of being a mess. How it worked was delightfully! Sam's voice is breezy, chatty, and occasionally snarky and lots of fun. It felt like listening to a conversation with a best friend telling me all about the crazy stuff that had happened to her. In the middle of it all is a tightly wound complex little mystery with arson and a missing persons case thrown in. I wasn't surprised to see that the author had spent a number of years working as an editor at publishing houses just like the Sam, the main character in this series. The scenes at Sam's work just felt so authentic that I could just feel it came from experience. 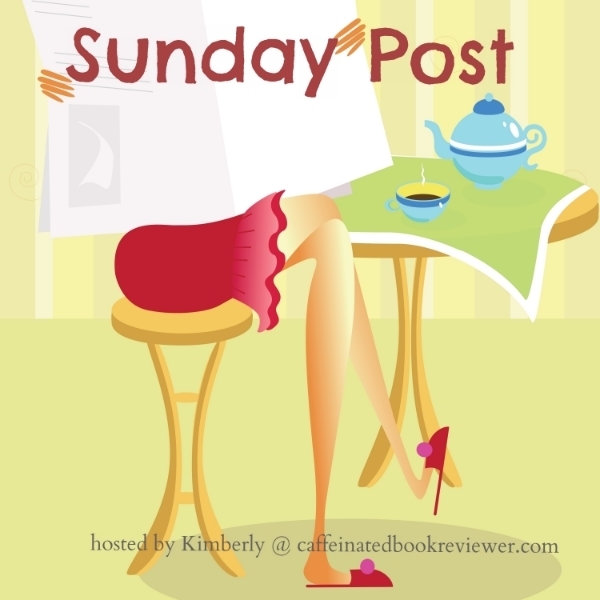 As a reader I really enjoyed the look into the not so glamorous world of publishing! Along with the publishing house, there are a number of characters sprinkled through Sam's world from the residents of "the empty house", to her boyfried who just happens to work for CID, to her gardening neighbor who never leaves his apartment, over to Viv another gardening neighbor who plays an important role in getting her mixed up with the mystery. If you're going for just a straight mystery this may not be the read for as there is quite a lot going on and at times the mystery is in the background. It never felt forgotten, there were just times it was't the focus. 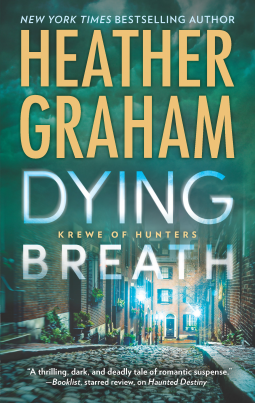 If you're looking for a book with a fun, intelligent if sometimes frazzled main character, love a bit of publishing house gossip, and don't mind a dead body and an additional felony or two then you can't miss with this one! I did note that this is actually the 3rd Sam Clair book but I was actually unaware of that until I finished this book. I don't think you'll have any problem diving right in with this one! Would I Read More of this Series/Author? : Definitely! I actually already own several of Flanders' nonfiction books that I'm looking forward to reading and I'd like to go back and start from the beginning with the Sam Clair mysteries. Would I Recommend this Book? : Absolutely! Just be prepared that it isn't a straight up mystery. This week's Top Ten Tuesday topic from The Broke and the Bookish is Ten Books I Loved Less/More Than I Thought I Would. It's always such an amazing feeling to go into a book expecting to like it okay and end up being blown away and on the opposite end it is such a disappointment to expect to love a book and end up feeling meh at best about it. Here are five books that blew me away and 5 that were pretty epic disappointments. 1. 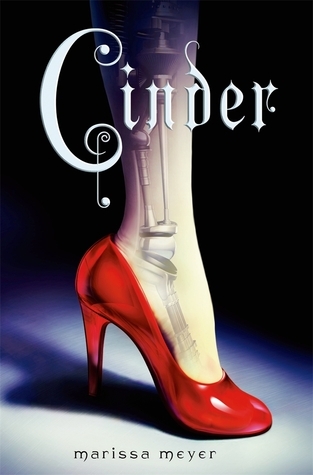 Cinder by Marissa Meyer - Everyone I knew had raved about this book - even people who typically didn't read YA or sci-fi type reads. I absolutely loved the cover so I decided to give it a try and I absolutely loved it! I read Scarlet right after and then took a break but I'm dying to pick up Cinder. 2. The Graveyard Book by Neil Gaiman - I'm a big Doctor Who fan but I'd been hesitant to read any of Gaiman's books because his episodes of Doctor Who were frequently my least favorite. I found a gorgeous copy of this at a bookstore and couldn't pass it up and I'm so glad I didn't! It was so weirdly wonderful! 3. Before the Fall by Noah Hawley - I really had no plans to read this book. I don't like disaster books, I don't like books where children are in peril, and I don't enjoy books about media frenzy. BUT when I was offered a copy by someone who had read and really enjoyed it I just couldn't turn it down and I ended up really enjoying it. It was so cleverly done that I was mad with curiosity to see how everything played out. 4. Mr. Penumbra's 24-Hour Bookstore by Robin Sloan - I expected to like this book - it has the world bookstore in the title so how could I not. But instead of the book about books that I expected this ended up being a fast paced treasure hunt that was just so fun to read! The audio is awesome! 5. The Light of Paris by Eleanor Brown - I almost passed on this book when I was offered it for a blog tour. It seemed high on the angst-y scale but I decided to give it a chance since one of the story lines takes place in 1920s Paris. I'm so glad I took the risk because I loved this book. I loved the characters, I loved both story lines, and I just didn't want to put it down. One of my favorite reads of 2016. 1. 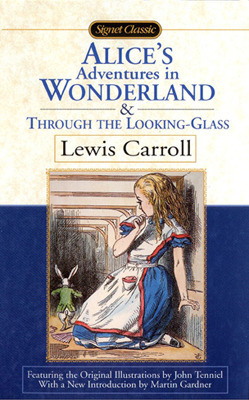 Alice in Wonderland and Through the Looking Glass by Lewis Carroll - I wanted to love this one! I love middle grade fiction and I really like the Disney movie. I was prepared for there to be lots of nonsense but it kind of felt like it was ALL nonsense - especially Through the Looking Glass. 2. Ghostland: An American History in Haunted Places by Colin Dickey - You know when a book sounds so you that you absolutely must have it right that minute? This was one of those. Ghosts? History? Traveling around and full of random trivia? Sold, sold and more sold. I was so sold I bought this new in hardback and bumped it to the top of my TBR. I just knew I would love it. Except I didn't. I really really didn't. I made it about 100 pages before I DNF'd it. 3. Everything, Everything by Nicola Yoon - This was a really good story with interesting characters and it was totally not for me. I could see the value in the book itself I'm just not a fan of YA romance. 4. Let's Explore Diabetes with Owls by David Sedaris - I've always been hit and miss with David Sedaris but I had listened to When You Are Engulfed in Flames and laughed until I cried so I figured I couldn't lose with another audio book from him. The best I can say about this one is that some of it was kind of funny. 5. Good Mourning by Elizabeth Meyer - I wanted to like this. I've read several books about the death industry so I was intrigued by this one that focused on a funeral home in New York. I ended up being mostly irritated. The author comes from an extremely wealthy family and she never let the reader forget how privileged she was. She was getting up to go to work at *gasp* 8AM when her friends were just getting home from a night out. The horror! The sacrifice! Who goes to work at 8AM on a Tuesday? Oh wait - pretty much everyone. As well she spent a lot of time complaining that people thought about money when planning a funeral. She was appalled by how cheap they were. Now I don't know about you but I have participated in planning a couple of funerals and while no one wants to think about money the reality is most of us do not have an unlimited budget. I read this at least 2 years ago and I'm still getting mad about it! So what books have you loved more or less than you thought you would? Ramblings from the Stacks - They'll all get read right? 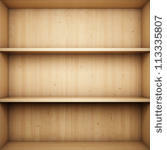 My To-Read list on Goodreads is 1,923 books. My Wish list on my library's digital site (for ebooks and audio books) is 1,396 books. My To-Be-Checked-Out list on my library's website is 251 books. My Wish List on paperbackswap.com is 345 books. I don't even know how many books I actually own but it's a lot. There's some overlap on these lists but not as much as their should be and there are some books that aren't on it at all either because I bought it before it made it on a list or it's an author whose back list I want to read and just haven't added all the books. For measurement;s sake I'm going with just these actual numbers and assuming the overlap balances out the ones that are left out all together. All together there are 3,915 books that I really want to read at this specific moment in time. Now on average I read about 130 books a year. So if I keep my reading speed constant and don't add any books to my TBR and don't do any rereads then it will take me just over 30 years to read them all. That's totally doable right? I mean in 30 years I'll only be in my mid-60s and my reading time will probably increase as my dealings with small children decrease. In fact I have decades worth of wiggle room to add books! Every once in awhile I'll hear someone say casually that they "know they'll never get all the books to want to read read" and it's just shocking to me. I mean how can you think that? I can feel my pulse increase when I even think about not getting to all those books I want to read. Though if I'm being completely honest - I probably won't. 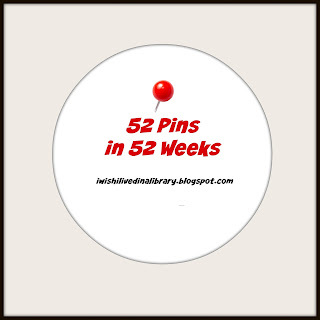 How many books are on your various TBR lists? Do you expect to read them all? Listening: I'm almost finished with The Woman in Cabin 10 by Ruth Ware. I've really enjoyed it but it'll be almost a relief when I'm finished with it because I keep catching myself holding my breath while listening! Watching: We've been watching movies lately. We went and saw The Lego Batman Movie which we enjoyed though we all probably liked The Lego Movie more. Later we watched Man of Steel and then Black Mass with Johnny Depp as Jimmy "Whitey" Bulger. It was good and Depp always amazes me with how he completely changes from role to role. We have survived the Tornado's birthday party! His birthday is actually at the end of December but with Christmas and school break and all the madness around that there's no way a party is happening. We didn't have as many guests as I would have liked but all the kids who came were kids he really liked and they had a really good time. I was pleased with the venue we had picked - one of those places with inflatables. Basically all we had to do was get a cake, invite kids, and show up at the appointed time. They did the rest and then when it's over you just leave and they take care of clean up and all that. If we ever do another birthday party (doubtful) I'd definitely use them again. The Tornado is going to Space Camp Monday! It's a trial program for day camps but he's really excited and I'm really excited to hear about it when he gets home! Living in a town that revolves around the space industry and having a father who is an aerospace engineer he's pretty used to space related things but this is something of his own. Eleanor and her boyfriend adopted a Husky puppy a few weeks ago and it is the absolute cutest thing. Right now she's only about 12 weeks old but she's just a giant ball of good natured fluff. It almost makes me want a puppy - but only almost. Luckily they don't live too far away so I can just get my puppy fix by visiting them. I've been on a really great reading streak lately but it seems to be slowing down. It's not that I'm reading bad books it's just that they're all only good. All good books isn't much to complain about but there's something repetitive about reading the same quality of book. I need to have to mix it up a little bit or switch genres because I can feel myself heading towards a slump. 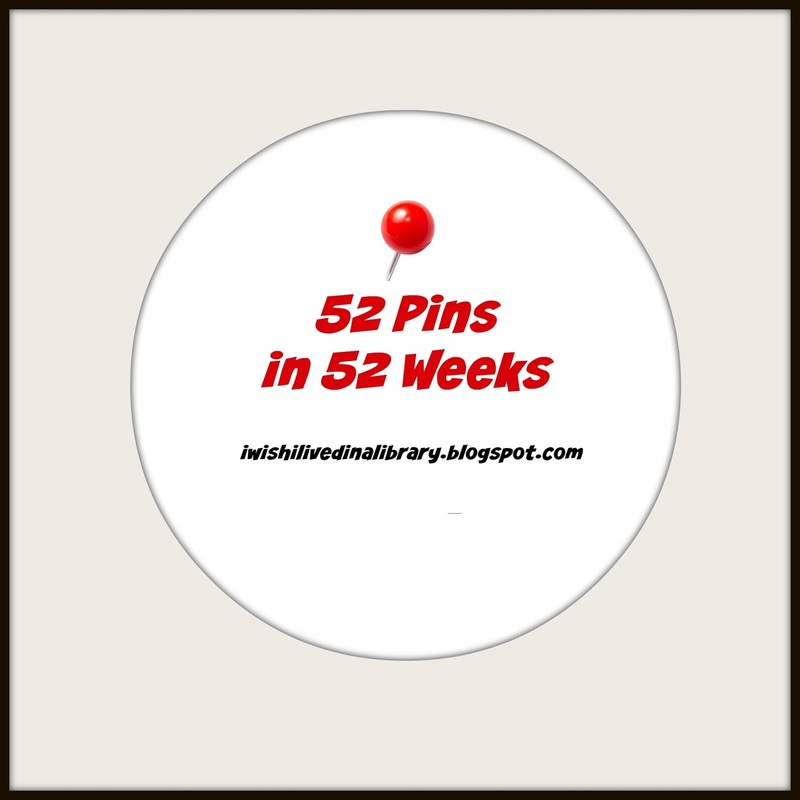 Next Saturday is my 2nd 52 Pins in 52 Weeks linkup. If you have any posts about Pinterest pins you've tried - wins or fails - I'd love for you to stop by and link up! Monday: Ramblings from Stacks - They'll All Get Read Right? From the very first time I watched The Great British Bake Off (or The Great British Baking Show as American PBS seems to call it) I adored Mary Berry. She seems so nice and she says things like "scrummy" and always seems to be delighted when people do well and so sad and sympathetic when they do poorly. Her creations always look delicious and gorgeous and I'd been dying to try one of her recipes but hadn't had much luck finding any of her cookbooks over here in the US. 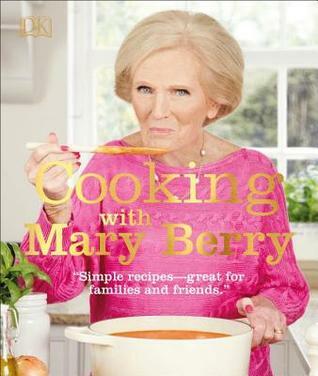 That is until Cooking with Mary Berry popped up on my Amazon feed and I knew I just had to own it. Published in 2016 for an American audience this cookbook is crammed full of delicious looking recipes ranging from Breakfast to Main Dishes to Sides to Breads to Desserts. Almost every recipe has a gorgeous photo as well as a calorie count per serving and occasional tips for how to prepare specific ingredients. Since I only know Mary Berry for baking I was curious to see what a standard cookbook from her would contain and I was pleasantly surprised by the enormous variety. There are a number of dessert and baked good recipes but there are just as many main dish and savory recipes like French Onion Soup, Coq au Vin, Turkey and Lemon Stir-Fry, Teriyaki Beef, Pork Chops with Mixed Peppercorns, Penne with Spinach and Stilton, and Calzones. The recipes are clear and easy to follow and the ingredient list contain ingredients that you could find at just about any good grocery store. My primary problem is that why she includes oven temperatures she doesn't list stove top temperatures. I'm a reasonably experienced cook so I know what heat level to brown beef at but if you don't I imagine it would be frustrating. Since Mary Berry is a well known British cook I figured the obvious choice for a recipe test would be her classic lasagna. Actually what happened is I hadn't made lasagna in awhile and the picture accompanying this recipe was cheesy and gooey and looked absolutely amazing and I just couldn't resist! Preheat the oven to 375. 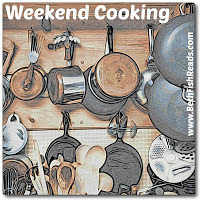 Make the meat sauce: heat the oil in a saucepan, add the beef, and cook, stirring until browned. Meanwhile, make the white sauce; melt the butter in a saucepan, sprinkle in the flour, and cook stirring for 1 minute. 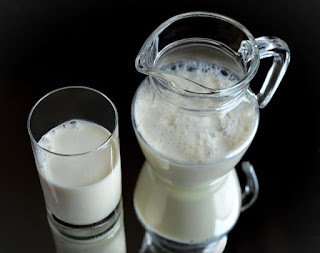 Remove from the heat and gradually blend in the milk. Bring to a boil, stirring until the mixture thicnes. Simmer for 2 to 3 minutes. Stir in in the mustard and nutmeg, and season with salt pepper. Spoon one third of the meat sauce into a large shallow ovenproof dish (I used a basic 9x13 dish) and cover with one third of the white sauce and one third of the cheddar and Parmesan cheeses (I used Mozzarella instead of cheddar because my family is picky but I expect cheddar would be tasty too). Arange half of the lasagna in a single layer. Repeat the layers, finishing with the Cheddar and Parmesan (I added some extra mozzarella on top). Bake in the oven for 45 to 60 minutes until the pasta is tender and the topping is a golden brown color. Serve at once, sprinkled with parsley. My Results: Despite the title this wasn't exactly what I would consider classic lasagna. Most lasagnas I've made have a heavier ricotta/egg layer and a much saucier meat sauce. However, I found this absolutely delicious. 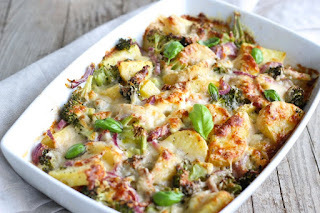 The white sauce gave it almost a creamy element and it was hearty and cheesy as well. I liked that it was super tomato-y but my husband did request more of a tomato flavor next time and I think I will replace the tomato paste with double the amount of tomato sauce. While it isn't the simplest meal to prepare I found it very logical. I could make the the meat sauce and while it was simmering make the white sauce and then assemble the whole thing. While this isn't what I would consider classic I think it will be come a new classic for us! Can you read and watch TV or listen to the radio at the same time? Sometimes. If it's a TV show I have no interest in and that isn't too action packed I can typically block out the noise and focus on my books. I can also watch baseball or football games if they aren't too exciting because I'll read awhile and then check in on the score and if nothing has really changed I'll go back to my book. For music I typically can't listen to music with lyrics but there are times when I have to have classical music on if the house is too quiet! 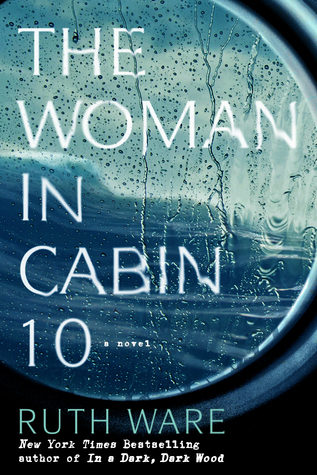 This week's book is one I'm super excited about - The Woman in Cabin 10 by Ruth Ware. I absolutely loved her last book - In a Dark Dark Wood and have been anxiously awaiting the audio of this one since I first got on the wait list back in October. I'm about 2/3 through with this one and I must say - it has me hooked! "The first inkling that something was wrong was waking in darkness to find the cat pawing at my face." While a cat pawing at your face in the middle of the night is never a good thing it's only going to get worse for Lo. This was a scene I was glad I wasn't reading at bedtime! Everything was white. The pale wood floor. The white velvet sofas. The long raw-silk curtains. The flawless walls. It was spectacularly impractical for a public vessel - deliberately so, I had to assume. I just love the imagery here. The all white luxurious room with a somewhat sinister feel lurking around the edges. Description: When former army medic Tony Dozier is accused of killing a member of the hate group that disrupted his wife's funeral, the prosecution charges premeditated murder and the defense claims temporary insanity. Former marine Death Bogart and auctioneer Wren Morgan think there's more to the story. 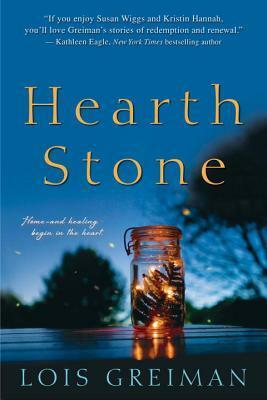 Why I Picked This Book: I've really enjoyed this series so far and I love that there's always a history element involved because Wren's always clearing out an old house. My Impression: I love this series! I almost clapped my hands with glee at the beginning because Wren, Death and Randy were going into a house that no one had lived in in close to 50 years and just the idea of all that stuff makes me giddy with excitement. I loved the descriptions of the Hadleigh House and the cemetery and the tidbits about the man who had lived there until his death in the mid-60s. I also thoroughly enjoyed Death's brother, Randy, joining the gang. His interactions with Wren and with Death were hilarious and brought a lot of entertainment to the group. It was also fun to see a lot more of the Keystones who own the auction company that Wren works for. I had really missed them in the second book so it was a treat to see them playing a larger roll in this book - especially the grandmothers. The mystery got off to a fast paced start with questions about who the last occupant had been, who the dead guy in the Civil War uniform found on the trail was, and how did the son of a funeral protesting minister end up dead in the car of a veteran who had recently lost his wife. I enjoyed watching Death and Randy work on the upcoming murder trial of the veteran and watch the characters try and figure out just where the Civil War uniform had come from and how the dead man had gotten a hold of it. I felt both of those mysteries were wrapped up very satisfactory and I really enjoyed the read. I love Wren's character. While at times she comes off as shy and almost meek there's also a hidden toughness to her and it's nice watching her show she can take care of herself. My main complaint was that I wanted more from the mystery involving the angel and the last occupant of Hadleigh house. There were so many tantalizing pieces that I didn't feel were satisfactorily wrapped up. I love historical mysteries where the tale is told through dusty letters and found drawing and I just wanted more from this subplot. As well, this is one of the few mystery series where I feel like it's really important to read the books in order. A lot happened in the last 2 books that explain Death's backstory and the events that occurred with Randy and I think it could be confusing to a new reader to dive in here. Plus the other 2 are really great mysteries so you'd be missing out if you didn't read them! 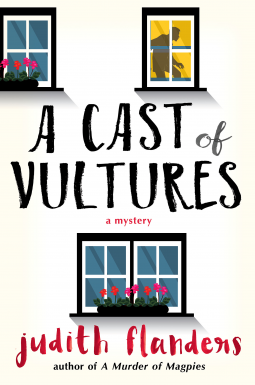 If you enjoy a good cozy mystery read and the idea of exploring old houses makes you giddy this is a series you really must not miss! 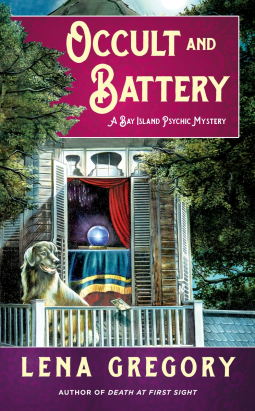 This was an incredibly entertaining addition to one of my favorite cozy mystery series! Would I Read More of this Series/Author? : Absolutely! There's a hint dropped about the next mystery at the end of this book and I can't wait to see how that plays out. Would I Recommend this Book? : Yes! If you enjoy a cozy mystery then this is a great series though start with the first book. If you've read the last two books already I think you'll really enjoy this one. 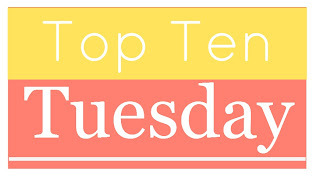 This week's Top Ten Tuesday topic from The Broke and the Bookish is Romance Tropes I Love and Hate. This was a fun topic because there are certain things I look for in books and certain topics that set my teeth on edge just reading the blurb. So here are 5 tropes I love and 5 tropes I hate. The love triangle - I can't stand 99% of love triangles. They always feel so unfair to one of the characters and I find my sympathy goes to the one not chosen or left at the altar instead of the couple that I'm supposed to be rooting for. The misunderstanding - Seriously just communicate! That woman you saw him with at dinner may be a sister or a cousin for all you know. Just because she's has an inheritance of some known amount doesn't mean she's a mean rich girl like all the others who were mean to you before. Seriously just talk to each other! The revenge story - I hate revenge stories or any other type story where one person is misrepresenting themselves and their motives to the other. It's just icky. The secret baby/unexpected pregnancy - I hate this one so much and really never seen the romantic aspects of it. I'd keep going but I've had to delete 3 rants so far so I think I'm just going to leave it at that. Anything that even vaguely hints at cheating - Nope, nope, nope. If one of the characters has not clearly ended things with the former significant other I'm just not okay. Planning on ending it doesn't count. I also don't like when one character is clearly not over their past significant other. While that's not actually cheating it isn't a good sign for the relationship! What romance tropes do you love? Which ones do you hate? Lately I've been thinking about how the time period we grew up in affects our eating preferences. There are things like availability of ingredients and different methods of cooking but it seems like even more important are the food trends and just random circumstances that influence our preferences years later. It all started with a gallon of milk. You see I do about 99% of the grocery buying in the house and even when J picks something up it's usually with a specific list from me. But I had had to unexpectedly go out of town for a few weeks and J and the Tornado were left to fend for themselves which required food which required a trip to the grocery store and the purchase of a gallon of milk. Now I'm not much of a milk drinker but I do have a fairly serious Frosted Mini Wheats habit and after I'd been home a few days I made myself a bowl. As I poured the milk in I knew instantly that something was wrong. It didn't pour right and I knew as soon as I took a bite that it had ruined my bowl of cereal. The flavor was weird and the milk coated the inside of my mouth. I suffered through that bowl and checked the label of the milk as soon as I finished (I'd already checked the expiration date so I knew it wasn't that) and sure enough there it was - 2%. I was born in 1980 and somewhere in the time I was developing taste buds and milk preferences everyone became afraid of fat and by the time I was 10 all the milk that could be found in my house and my friends' houses was skim. To me milk is supposed to be colored water that wets the cereal and basically nothing more and for it to have flavor or texture is just plain wrong. It tastes like drinking straight up cream. To J a child of the 70s milk is supposed to have flavor and texture - he grew up on whole and only switched to lower percentages in his late teens. His taste buds were well developed long before everyone became afraid of fat. That being said he has his own fear - the casserole. You see while I grew up in the fear of fat he grew up in the dawn of the Cream of Chicken Soup can and the rise of the casserole. To him and his older brother it was a scary time. Everything was casseroled and there was one particularly loathed dish that they both swear was made at least once a week called Hamburger Bean Pie. This featured ground beef, some tomato paste, canned green beans, and little biscuits baked on top. To this day both he and his brother are deeply suspicious of ground beef if not in hamburger, meatball, or meatloaf shape. His brother won't eat food that is mixed together and J doesn't eat anything that is called a casserole. My dad who grew up in an earlier decade will only drink "fresh" milk. When he was a kid the price of milk was controlled by the state dairy board that kept the prices artificially high. My Grandmother who had 4 teenage boys would use her Army widow status to go to the commissary on a nearby Army base and stock up on food - but especially milk. What wasn't drunk in the first few days would go in the freezer to come out at a later time. Apparently when frozen the milk fats separate and when you pour a glass from a half thawed gallon of milk you only get the skim as the fats are still solid and then because some of the skim is gone when the milk finally does completely thaw the texture is off. How have eating trends and other circumstances of your childhood affected the way that you eat or think of food now? Oh tough one! 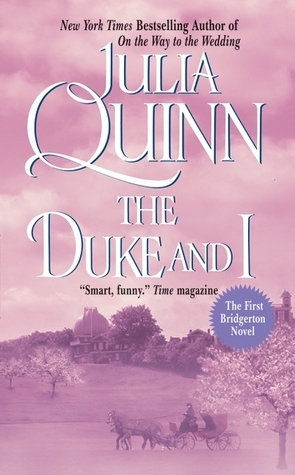 I have two - the first is The Viscount Who Loved Me by Julia Quinn which is a straight up historical romance and an amazing one and the second is The Secret Adversary by Agatha Christie which has a strong romantic element but also a whole lot of adventure and fun hi-jinks! This week's book is one that I've known since I started blogging that I absolutely needed to read. 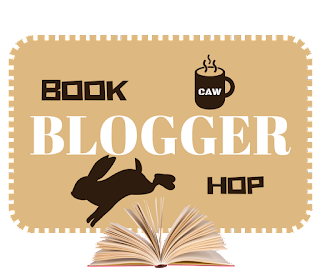 I've always been a mystery reader and when I started reading blogs from other mystery readers I was shocked by how many fantastic series that I hadn't even heard of! The Armand Gamache series by Louise Penny is one of those. 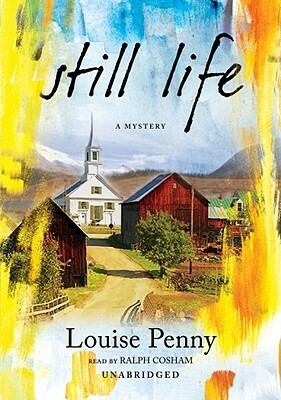 So back in December when I was thinking of books I really wanted to make sure I got to in 2017 Still Life by Louise Penny was high up on the list. 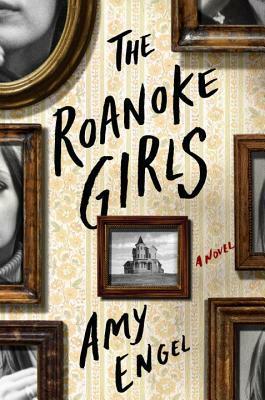 While I'm not as far along in it as I'd like (I had to take a break to read a mystery for review and I don't like reading two of a similar genre at the same time) I'm really enjoying it! Miss Jane Neal met her maker in the early morning mist of Thanksgiving Sunday. It was pretty much a surprise all around. I love the matter of factness and the almost humor of the beginning. It bodes well for the rest of the book. So this really isn't as dramatic as is sounds because they're digging into the victim's back story but I do love how calmly Penny throws around death announcements. So what do you think? Keep reading? Any books that you want to make sure you read in 2017?